Fading country star Tammy Trip returns home to the honky-tonk that launched her music career, planning to help the son she abandoned launch his own. But will her arrival do more harm than good? Dreams, ambition, love, and heartbreak—along with a good deal of whiskey—all collide in this acclaimed new musical, based on Chekhov’s The Seagull. Songbird premiered Off-Broadway in 2015 to much critical acclaim, earning a New York Times Critic’s Pick. 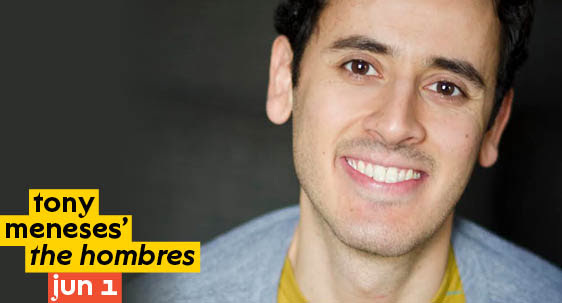 Co​-co​mmissioned by Two River Theater, The Hombres looks at the intimacy of male relationships through the point of view of Machismo culture. Set in New Jersey (“somewhere off a NJ Transit line”), the play follows Julián, a gay Latino yoga teacher, as he clashes with the Latino construction workers working outside his studio—particularly the older head of the crew, Héctor, who seeks from Julián something he never expected.